Why run another Hearthstone tournament? As the Hearthstone scene prepares for the awesome World Championships being held in early November, major Hearthstone tournaments in the interim are few and far between. We haven’t seen much: a smattering of 8-player invitationals, two Dreamhacks, and IEM Shenzhen. Where did all the organized play go? The Hearthstone World Championships. Damn, that’s a lot of sweet cash. What would weekly and monthly tournaments do for the game? Aren’t other open tournaments being run by third party organizations? 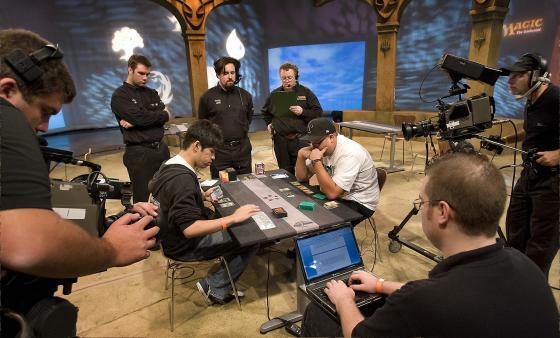 Right now, running an open tournament is troublesome for the organizers (with matches being self-reported) and as such, the stakes are often relatively low. With no big prizes to be won and relatively little acclaim awarded to the winners, many top Hearthstone players are uninterested in participating in these types of tournaments, especially since their road to victory is often paved with best-of-three single-elimination matches, which can easily be lost against weaker opponents due to the high amount of luck in Hearthstone. Though luck isn’t a bad thing by itself, it does imply that large tournaments require good formats and a large number of matches in order to attract the most skilled players by offering them a high chance of doing well. On the other hand, tournaments with larger prize pools are usually invitationals broadcast to large audiences, with the participants drafted from a list of popular Hearthstone streamers. While popularity is good for the game, inviting only popular streamers promotes an inbreeding situation where many invitees are good but not great; meanwhile some extremely strong players are perpetually left out in the cold, unable to break into the scene. Of course, regular merit-based tournaments by Blizzard—even without prizes— would automatically provide the winners with recognition, the same way that having a high Legend rank does. It would generate more interest in tournament play, encouraging more teams to be formed and more players to be drafted to them. It would create storylines for players showing consistently good results, and those storylines could amplify the excitement level for Hearthstone broadcasts. If ultimately successful, such a tournament series could transform into a Magic-esque “Pro Tour” for Hearthstone, where the highest level of play would be celebrated and enjoyed by spectators. A match from the monthly Magic pro tour. Could Hearthstone have something similar? Blizz pls? With Blizzard failing to step in, the Prismata Cup is my attempt to do so. It is our answer to the gap between large open tournaments with tiny prizes, and small invitational tournaments that exclude most of the strongest players. I wanted to run a tournament that would allow highly skilled players to shine, motivate them to try their best with a decent prize pool, and spread recognition of their performance by getting top streamers to broadcast the final rounds. The response from top players has been overwhelming, with many of them showing their heartfelt thanks for finally giving them a chance to prove themselves. I truly want the Prismata Cup to become a recurring event, with monthly tournaments if possible. With Prismata sponsoring the tournament, this meant that we needed a high degree of confidence that things would run smoothly. I really wanted to run a 64-person bracket, but we decided to scale it back to 32 players for the first Prismata Cup in order to keep the logistics a bit more manageable. We hope to increase this next time so that even more players can participate—especially players from Europe. A 64-player tournament with staggered NA and EU sub-brackets could be possible. Initially, we had planned to allow an open application process for legend-rank players, with the entrants selected using a simple formula that incorporates players’ positions on the published top 100 ranked NA lists. However, we began by simply inviting the top-ranked players who scored best according to the formula. The turnout was better than expected: 6 of the top 8 according to the formula agreed to play the tournament (the other 2 declined.) We ended up securing confirmations for 16 players just by directly contacting those in the top 40, and thus an open call for applications became a moot point as any remaining applicants would have been outclassed by those who had already accepted. If we do increase the field size to 64 players in the future, we’ll probably move to a better system for selecting the entrants. The remaining 16 spots were awarded in various ways—mostly to top EU players that had been snubbed by our NA-based ranking formula, NA players who barely missed the cut but were highly ranked on Gosugamers, and in some cases, as favours to people without whom this tournament would not have been possible. While it’s questionable to have any invitational spots at all in a merit-based tournament, we tried our best to optimize two competing goals: reward merit as much as possible, and run a successful tournament so we could do it again. And now, with a successful tournament under our belt, we’ll be able to employ a much more efficient and transparent application process next time. We’d love to hear your feedback on how we can improve things. 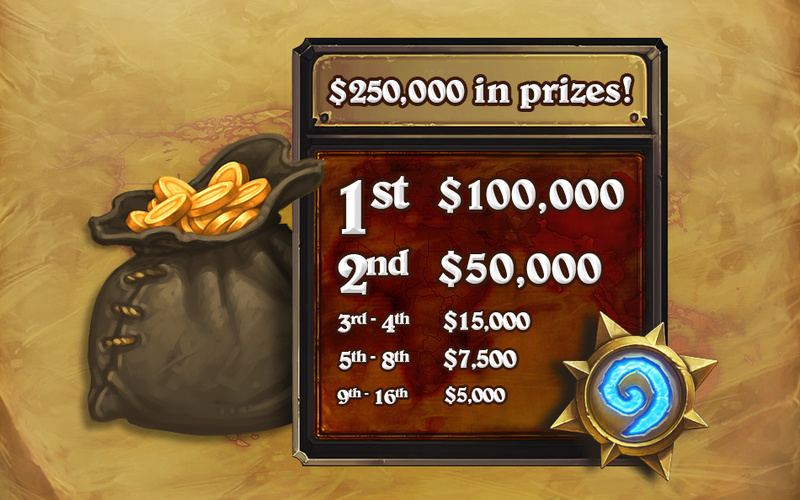 To have a higher chance of rewarding the best ranked players, we went with a longer format than many open tournaments. The Prismata Cup took the form of a double elimination bracket for the first 5 rounds, with those achieving a 4-0 or 4-1 rank advancing to the top six. These six finalists played in a single-elimination playoff bracket, which will be streamed and commentated next weekend. Each finalist will receive a cash prize based on their final rank. The full bracket for the first 5 rounds can be viewed here. Our location (Waterloo, Ontario) was hit with heavy thunderstorms and was actually under a tornado warning for much of the evening as we ran the tournament. Thankfully, the lightning storm RNG was favourable and our power and internet connection held on as we updated the brackets. 1) Watch the top 6 players… one week later! The lack of a spectator mode strongly discourages live-casting of online tournaments. Live-casting a Hearthstone match between two other people requires both players to stream their screens to the caster, who must then dynamically switch between the two feeds, commentate the game, and stream it themselves. It’s highly complex, and unless the caster is also talented at live video production, it often doesn’t lead to a good result. Consequently, many online tournaments don’t bother streaming at all, or do so (as we are doing with the Prismata Cup) by recording the games and streaming them a week or two later. This has several negative effects: viewership is lower, viewers are less excited because the winner of the match has already been decided, and spectators are disconnected from the game. Unable to watch any of the games, we place a great trust in our players to report their wins and losses to us. To avoid any shenanigans with two players in a match both reporting a win, we asked losers to report their losses to us on Skype, and we asked winners to remain on the victory screen until the loser’s report was acknowledged. This placed an annoying and unnecessary burden on the players, delayed games, and added a lot of work for us as we juggled dozens of instant message conversations. Losers often forget to report their losses, adding more delays. Unfortunately, auditing the result is absolutely required. In talking to other admins running completely open tournaments, I’ve heard that around 25% of matches have disputed results. And because one disputed result in a major tournament is enough to bring the whole tournament to a halt, we’re forced to employ our burdensome reporting process, or risk a very expensive gamble. Hearthstone should have a replay system or other method to more effectively discourage match-reporting shenanigans. Finally, to facilitate broadcasting, a replay mode would make our lives a lot easier. Ideally, a replay mode would include support for updating decklists in real time, because it improves viewer enjoyment in long games, allowing you to “see what they see” if you weren’t paying close attention for the whole match. Without replays, players have to record videos of their play, and upload large files to be edited together by us. Undoubtedly, some players stream in different resolutions, and with different sound settings. If one person fails to record, it could upset the entire broadcast. The editing is also a lot of work—the recordings have to be stitched together to flip back and forth between the two player perspectives as the players alternate turns. It’s a lot of hassle, even just for one match. The full five-match broadcast will require many full-time days of video editing. Each individual match in the tournament consisted of a best-of-five series (except for the single grand finals match, which was a best-of-seven). Players each brought four decks using four different classes, and vetoed one of their opponent’s classes prior to each match, playing a best-of-five king-of-the-hill series with the three decks that remained. Another interesting note: while miracle rogue was by far the most popular deck, showing up in almost every player’s final list, it was also the most commonly banned deck during the veto phase. The rogue class was vetoed about 75% of the time. One player even submitted a rogue decklist entitled “ban fodder”. Something else seemed to happen. As the tournament progressed, the matches tended to take longer. In the top 6, this was mainly because the decklists were public, so players would play with tremendous foresight into their decisions. But in general, as the stakes of each match increased, players became increasingly concerned with eking out every possible optimization they could to maximize their chances of winning, and this resulted in a lot of very slow, careful play. The finals of the tournament finished over 8 hours after the tournament began. Two EU-based players—Gaara and Ignite—made it to the top six. Both were both playing in a time zone that was several hours ahead of most NA players’ time zones, and they had to stay up extremely late to complete their matches. Unfortunately, this is unavoidable if we want to have a good tournament format with many rounds, while also inviting EU players. Part of the reason that there are relatively few rounds played in many Hearthstone tournaments is because of the lack of a customizable time-control feature like that used in Chess tournaments. Time controls are almost essential to tournaments and high level play—it’s hard to even run a small field tournament with best-of-three rounds, because each round can take a very long time, especially when each player uses every available second to really grind out each decision. Better time control options, such as 30 seconds per turn with a 2 minute timebank, would make each match significantly faster, as well as more exciting to watch. An option to quicken the in-game animations wouldn’t hurt either. Blizzard pls? For better or worse, Hearthstone is a luck-based game, which unfortunately induces a trade-off between running a tournament that finishes quickly and a tournament that rewards skill as much as possible. Even with a double elimination bracket of best-of-five series, it’s possible for good players to achieve a streak of poor RNG that bumps them out of the tournament. While no single approach will make everyone happy, we try our best to do what we believe is best for our competitors and fans. In any case, it appears that the Prismata Cup will run again. Probably it will happen in a little over a month, and ideally it will include 64 players and more of an EU presence. I’d love to hear your feedback on what we can do to make things better. We’re literally just getting started! Of course, don’t forget to check out the finals, casted by Trump and Hafu, which air this Sunday at 6pm EST. They feature some unbelievable games between extremely talented players. The quality is especially high, because players in the top 6 had access to each other’s decklists before the matches. You’ll also be able to see decklists that are updated live to show what remains in each player’s deck, so you’ll be able to see the same thing they “see.” Many of the games feature intense, chess-like finishes, with each player counting the cards and knowing exactly what remains in their opponent’s hand. You don’t want to miss it.